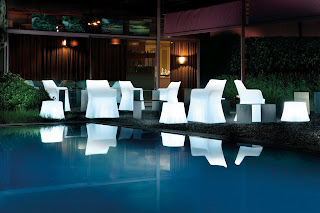 The fluid shaping of this armchair is achieved with the use of rotationally molded polyethylene - a recyclable material, suitable for outdoor use. Designed by Orlandini & Radice and made in Italy by our good friends at Domitalia, the Phantom mimics draped upholstery in its ethereal silhouette. Would-be legs are hidden behind surface folds that fall from the arms and seat to the floor, making Phantom appear to be legless or floating. And get this... it lights up! 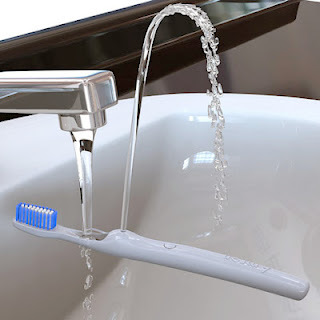 Available in translucent illuminated white and various non illuminated colors! John Costanza is a local sculptor who explores, invents and experiments with simple cubes, cylinders, or rectangles made of porcelain or vitrified stoneware. 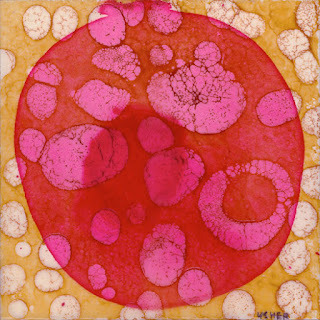 The surface of the forms are generally finished with ceramic oxides, glazes, or polychromed lacquer, and some are fused with metal, glass, or stone fragments. 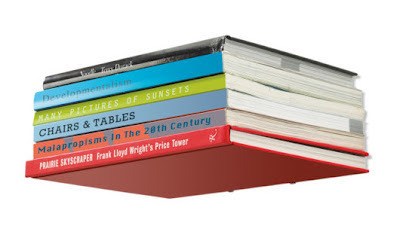 How great would these look combined with modern furniture! John will be one of the artists in The incredible Dane Decor Arts Event coming to our Downingtown showroom September 8 from 3-8:00 pm. See you there! We love simple, clean design and this is as simple and clean as it gets. David Mayhew found the shape in a whale’s tail disappearing into the depths, and donates a part of the profit to the Save the Whales foundation. 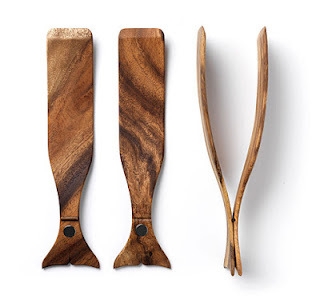 The handcrafted wooden tongs in jamjuree wood are suited to serving salads and other foods, and won the Tasmanian Design Award in 2006. Whale Tongs are made with a magnetic hinge that makes them easy to separate for cleaning. Use them as a pair of serving tongs or as a salad set. One of our favorite companies, BODUM, was founded in 1944 in Copenhagen, Denmark by Peter Bodum. 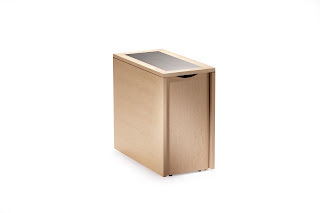 Their fantastic array of products pay tribute to functionality, quality and affordability. Concepts we strive for as well. Just because you live in a small space, doesn’t mean you have to compromise on style. Here’s a smart design idea that will transform a small space into a funky dining area in no time at all. A favorite Danish factory we love named Skovby specializes in multi-functional furniture that transform from an unobtrusive sideboard into a full fledged dining room table. Here's a video of how it works! Stop in today and see our huge selection of fun, funky, functional furniture. For the modern mind. Office with a great view! 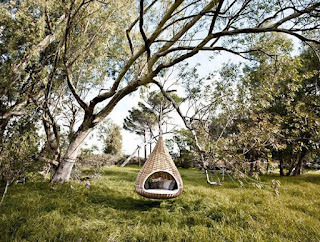 The hanging nestrest from our friends at Dedon offers seclusion and comfort. The wide weave is constructed so you can see out from within – but not in from without!! Can be suspended or with base for 360 degree turning. It's what the best dressed trees are wearing this season. This fallen bench acknowledges the fallen tree as our earliest mode of furniture. 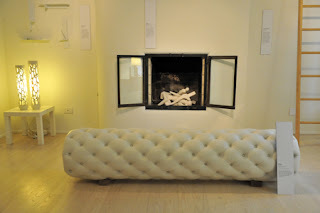 Here the humble form of a hollow log is celebrated and made anew with tufted upholstering. Thanks Materious for all you do! This blog is devoted to finding cool stuff to help you live a more comfortable, better designed life. We have just gotten in shipments of amazing new products from all across the globe. 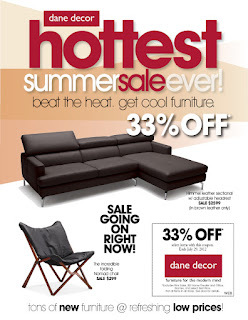 Incredible furniture at our best prices ever! Really. Even if you don't need anything right now, we invite you to stop in, beat the heat and enjoy browsing and chilling with some really cool pieces. We have complimentary imported cold spring water, too:) Click for printable page. Schoolhouse Electric & Supply Co. partnered with IBM to exclusively produce their iconic 1960s standard issue wall clock. 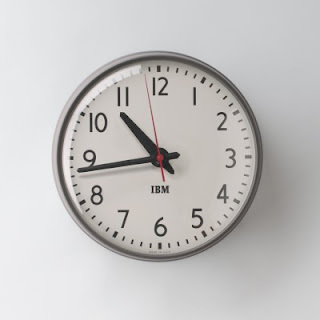 The clock is a faithful reproduction of the classic IBM clocks found in offices, warehouses and schools during the mid-20th century. Hand assembled in Schoolhouse Electric’s Portland, Oregon Factory, it is constructed with a USA made spun steel case, domed glass lens, and the original graphic hands and faceplate design. Operated by a Quartz movement with a red, continuous sweep second hand. How cool! Check out this video. We love wood. Here is a beautifully designed bamboo calculator by Pierre Garner and Elise Berthier. 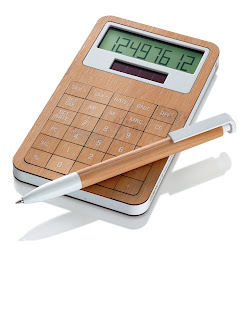 It's Solar powered and made from renewable bamboo and cornstarch, this retro-styled calculator boasts both great looks and an impeccable eco pedigree. It’s got 8 dot matrix digits and it’s TAX +/- settable. 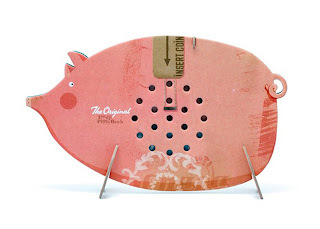 For more in this fun, functional series by LEXON, see the catalog (page 17). For the finest fun, functional Scandinavian wood furniture see us! Kelly Searl, the founder and designer of Pony Rider, always impresses us with knack for picking the mood of the design world, while being one step removed, so that the products don't feel too "done". Her organic designs fit o so well with sleek modern furniture. For more, check out Pony Rider! From a gnarled oak tree to a sleek pocket knife, award-winning San Francisco industrial designer Rick Lee finds inspiration in everyday objects. An innovator at the vanguard of modern design, Lee combines rational thinking with radical influences to create unique minimalist pieces. We always loved his designs and we are so proud we finally got an exclusive from Rick Lee Design Studio! 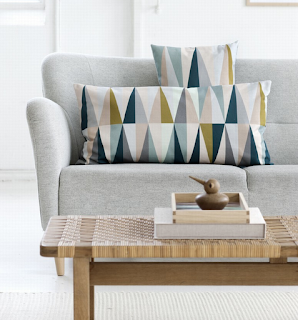 Our new Compton Sofa Collection. At all showrooms except Oxford Valley! 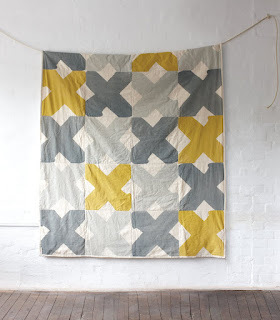 Say you saw it on our blog for an EXTRA DISCOUNT! Making smart decisions about materials and smart design has always been the primary objective for dane decor. 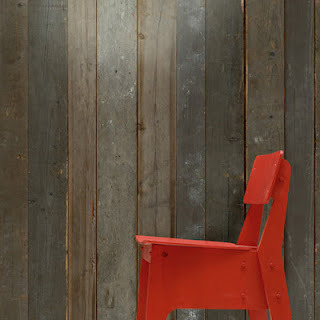 We found this cool company called Modern-Shed that shares our mission. 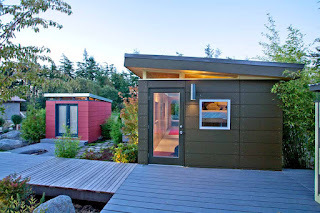 They create efficient and ecologically sound prefabricated buildings. When Ryan Grey Smith and his wife, Ahna Holder bought their Seattle home in 1998, it didn’t have a garage, a basement or an attic. Both having backgrounds in architecture, the 1940’s era homes inadequacies were simple enough to solve, they built a shed. In 2005, Modern-Shed was born. 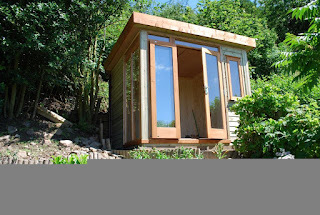 Modern-Shed has redefined the word ‘shed’. Making ‘shed’ less like a typical garden shed and more like a chic outdoor room of the house, a hideaway for playing, working and relaxing. 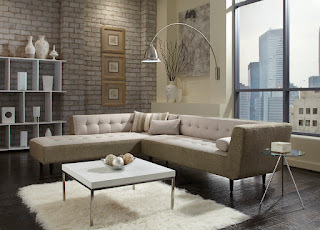 We can just envision one custom fitted with a cozy, leather Hans chair! This Londji piggy bank, created by a team young illustrators & designers it is not like any other: The illustration-collage is made of of solid recycled cardboard, you can assemble it without glue, It is flat, can be taken apart, you can put it away into its rigid cardboard box, and the most important, it kindly looks after any type of coins for your little caprices. Very green. Very pink. stop by one of our showrooms. It's a great half day excursion! 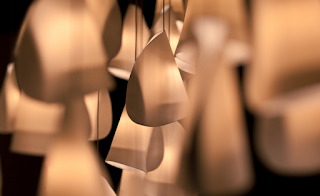 Bocci produces extraordinary lighting objects. 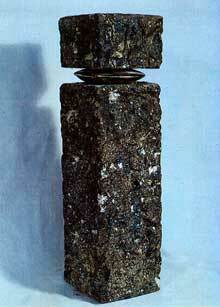 These fixtures recall an ancient or almost primitive representation of candlepower. Creative director Omer Arbel's refined craft objects are imprinted with the hand of man and present humble materials in an honest unrepeated way. Each form being unique. The 21 Series reinvents itself from every angle and by time of day.